Following on from a run of three excellent songs from Kim Weston – A Little More Love, Go Ahead And Laugh, and most recently I’m Still Loving You, which had looked like her ticket to the big leagues – this new single, which marked her switch from the Tamla label to Gordy Records, seems like something of a backward step, both artistically and commercially. It’s very odd, this. For a start, it sounds as if it’s ten years ahead of its time, for good and ill; the rhythm track is so clipped, with so much treble reverb, and the rolling, twanging guitar riff locked so tightly – mechanically – into place, that for a modern listener it can’t help but call to mind syndrums and tape loops and artificial horns. Combined with the flurries and eddies of strings, and Kim’s loose, loud vocal (over the top, in every sense), it’s almost a herald of a new age, something dark looming over the Motown horizon: the shape of things to come in a few years’ time, once the Funk Brothers had all been sacked. Are we absolutely sure this isn’t from 1975? And yet, for all the future echoes, it doesn’t actually advance the Kim Weston story, doesn’t take us to anywhere Kim really needed to go. Writer-producers Mickey Stevenson (soon, of course, to become Mr Kim Weston) and Ivy Jo Hunter were settling into a groove working with Kim, who even copped a writing credit in her own right for both sides of this single – but as a follow-up to I’m Still Loving You, A Thrill A Moment builds on everything its predecessor had going for it, both good and bad. So, along with the ample opportunities to show off her incredible pipes, Kim is also saddled with a strident, self-aggrandising, almost bossy arrangement of an overbearing song. It’s quite the vocal showcase, certainly, Kim on a mission to show her phenomenal power and range; coming hot on the heels of Diana Ross, it’s hard to imagine a greater contrast. Her full-on, ignore-the-backing, almost acapella style performance (she very much ploughs her own furrow here, paying practically no heed to what the musicians are doing behind her, so much so that they might as well have been dubbed on afterwards rather than the other way around) is striking, and in places it’s positively breathtaking. But it’s not a good song, and there’s nothing Kim can do to change that. Indeed, she does everything, which only makes things worse; it’s a song of tender devotion and total, joyful abandonment, but the melody is plodding and more sedate than the production tries to make it. You’d think a vocal approach which involves Kim smashing down all barriers and just letting herself go would suit the material, improve the impact of the song, but instead it just ends up sounding overdone, leading to a messy and cluttered record. What we have here, really, is too many ideas – quite a different problem than the more commonly-seen lack of imagination, but just as difficult to overcome. Rather than decide what this is meant to be – a power ballad, a torch song, a sultry purr, a wistful happy number, or something that might have graced a Seventies Motown compilation – the record instead tries to have its cake and eat it, and it never properly works. The production is a surprise (whatever happens with the proposed 1972 sets, there isn’t going to be a Complete Motown Singles: Volume 15, but if there were, this would fit right in without raising an eyebrow), and Kim’s voice is capable of breaking bottles at fifty paces – but those are just some of the ingredients for a great record, and nobody’s brought the recipe. I think Ms. Weston can break bottles at 25 paces, and know she can break my heart each time I see a photo of her. This would be the time that my wife takes an interest in my “Motown _ _ _ _ _ _ ” posts. But remember dear, I married you. I missed this the first time around, and became aware of it in the 2003/2004 Motown Reader from across the pond. I do remember buying Kim’s Greatest Hits and Rare Classics about 1992 and obviously was not moved. All these years later, I feel that Mickey called Kim in the middle of the night, told her to come down to the studio, cut this then took her home. The components are all good. Sound, backing track, production, Ms. Westons Vocal, as well as the song itself are all above average, but as many a frustrated chef knows, having the right ingredients is sometimes not enough, or is sometimes too much. 5 out of 10. It’s too “tame” a song to have become a hit. 5 out of 10 is about right. I always wondered why Motown changed her label status. Did they think she’d have a better chance on the third string label??? I seem to remember her Gordy releases (“Take Me In Your Arms” and “Helpless” getting a lot more push than her Tamla releases. So I don’t think the move hurt her any. Gordy (with The Temptations was respected just as much as Tamla and Motown. Had she been relegated to Soul or VIP, she might have had a reason to complain. In the second half of the 1970’s when I was still living in southern New Jersey, the Record Museum outlets in Deptford Mall, Echelon Mall (Voorhees, NJ) and a great hole-in-the-wall place in Berlin Farmers Market, were my favorite haunts on weekends. One place or the other, most any pay weekend I’d drop near a hundred dollars in one of them, back when an oldie single was still under $2. It was there I found missing jewels like “Strange Love,” “That Day When She Needed Me,” “Everybody’s Got To Pay Some Dues,” “Dream Come True,” “Baby Don’t You Go,” and too many others to list. I didn’t find “Looking For The Right Guy,” but I did come away with 45 originals of “Love Me All The Way,” “Just Loving You” and “I’m Still Loving You,” among Weston’s stuff. And while I did have a decent copy of “Take Me In Your Arms,” I almost surely was looking for an added one when I had to make do with a Yesteryear copy (for the moment, anyway), and the deciding factor may have been it’s strange flipside that I never heard of before. This record. I came to love it immediately -despite it not being a lost H-D-H stomper on the order of “Arms”- and still do. Never less than a 7 for me. I love the joy in it and the near-terrifying power of Weston’s voice the closer she gets to the conclusion. So much so, that I was just as soon on the hunt for the original Gordy 7041 single because I knew that too had to have a flipside itself I never heard, and was pleased also to discover that one. That this doesn’t show up on the myopic (and still at least slightly residually racist) Billboard Pop Chart wasn’t a surprise. But what is astounding is that it also didn’t place -anywhere!- as well on R&B Billboard chart either. Flawed it may be, but far worse things charted than this. Like you, David L, I discovered this song as the flipside of the Motown Yesteryear single of “Take Me In Your Arms”. I agree this song isn’t the greatest, but I still think Kim gives a great performance. Ok – my memories of this record actually start in 1965 when a friend brought it to the house and played it constantly. No mainsteam top 40 radio hit, but it was played on the R&B radio stations KSOL and KDIA In Oakland, CA. It was only a 45 RPM Gordy single, virtually forgotten, until it appeared on Grestest Hits and Rare Classics. Never included on a 16 Big Hits package. No national chart placing. A stereo mix is available on a Millenium Collection comp CD, although it sounds like a different vocal take. My memories start in 1965 and I can tell you all we played it to death, because it sounded SO DIFFERENT than anything else out there. Kim’s vocal was so powerful, the arrangement so radical and busy, and we couldn’t get enough of it. I bet Quality Control was as knocked out by it as we were. My sister had the original Gordy single, and we both played the hell out of it on her Delmonico console stereo. A great Weston vocal held back by a not-so-great song. Kim Weston was one of my favourite artists, but I could never put my finger on why this record didn’t push the right buttons for me. This review, Mr Nixon, really nails it. Thank you. I’d argue that the arrangement, with its flurries of strings anchored to the relentless guitar riff, helps to emphasize the thrill of the unknown spelled out in the lyrics. The music may have been arranged to keep up with Kim’s vocal flights, but that makes it a satisfying record for me. I like the ebb and flow. I would rate it at a 7. As we’ve seen from Nixon’s reviews (and I agree), Motown’s producers were challenged by both Kim and Brenda Holloway, and they didn’t always get it right. But both vocalists had records rivalling the best the company ever released. I’m interested to hear the verdict on the flip of this, which, when I bought the 45 years ago, astounded me (a b-side as good or better than its flip). I feel a 5 is too low somehow, though I do have mixed feelings about this track. The vocal performance is astonishing, and really showcases how great Kim was(/is?) throughout her range. Smokey and rich in the lower registers, powerful and expansive in the higher registers. The band intro feels ahead of its time but works for me…I suppose I pretty much stop paying attention to it after the vocal comes in. My problem with the track is that the chorus feels a little show-tuney to me and I personally dislike show tunes. (I believe Kim said somewhere that show tunes were a favorite of hers). Melodically it doesn’t have the shape feel of other great, classic, Motown pop soul songs. Overall I’d give it a 6.5/10. Mmmmm this is an interesting song…. I feel a 5/10 is too low. I mean the production value here is marvelous! The instrumentation is not bad at all. The background singers (maybe the Andantes? I’m not sure) are not bad either. To my surprise I conclude the problem is Kim. She just doesn’t sync with this record. I think some other artist or group would have made this song into a possible hit. Kim is just too all over the place and she doesn’t sound convincing. Not to mention at times she sounds muffle. Oh Kim! Magnificent production (I admit I first thought of the great Shadow Morton who just passed away), fantastic singer, unorthodox song. At least a 8 ! It seems I love this song for all of the reasons you don’t. I love that Kim’s vocal makes the Funk Brothers an afterthought…almost an annoyance (the FUNK BROTHERS!) I also love the kind of plodding, rambling guitar lick, as well as the prominent treble. It was a different sound for Motown…usually heavy on the bassline. I love the song. Have since the first time I heard it – mid 60s when I was a Senior in college. I’ve listened to it many hundreds of times. Never grow tired of it. Your dislike of the song has brought a lot of piling on from responders. Find it rather hard to believe it’s so. But different strokes. Melody, lyrics, voice & emotion are so prevalent in the song. Full orchestration blend perfectly with her powerful voice. Superb backup singers (Andantes?) creating the raw feelings she exposes in A Thrill a Moment. Classic Motown sound, yet quite unique in its intensity. Absolutely agree. 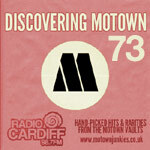 One of the best – and most unique – of all Motown singles. I, too, have never gotten tired of it. The bigness of Weston’s vocal is perfectly matched by the immense arrangement. I’ve always thought that Whitney Houston (in her hey-day) could have swept onto the stage, pulled out all the stops on “A Thrill a Moment” and left her fans happily stunned. Also, perhaps, giving this great song a second chance at the chart success it deserved. I’ll definitely bookmark your website. I’ve been a Motown junkie from 9th grade (1959) on. I was born & raised in Central Wisconsin – hardly an R&B/Soul area. Everybody else listened to R&R or C&W. Why I turned to it I’ll never know. I love the sound that Blacks release. Used to watch Bandstand from ‘57 ‘til they moved from Philly in ‘64, but also became a big Soul Train follower in ‘71 on. Used to listen to the 50K watt stations at night in HS and college as few stations played Soul & R&B where I lived. If a Motown/Tamla/Gordy/Soul/Sue etc. recording reached the Top 25, maybe then it’d get a play. Favorite stations back in the day were KDKA Pittsburgh, KOMA Oklahoma City, WBZ Boston, KAAY Little Rock etc., of course, only after sundown. From Doo Wop in the later 50s, through Motown’s main thrust thru the mid-60s, the greatest music was created IMO. Never be another period in time like that. Certainly did my share of ‘other stuff’ also in those days: Brenda Lee, Rick Nelson, Roy Orbison, Four Seasons et al. But heavy into Detroit, and also a good bit of Black Chicago and Philly/East Coast singles/groups. Way too many one-hit wonders nowadays, and some really awful sounds. I’m Old School for sure. If I read a current Top 50 listing – I’d know hardly an artist or song. Yet my life was built around The Sound for many years. It was like when pro sports teams kept their athletes for most of their careers. You grew attached to them. Now there is no allegiance to those who go where the money is. Can’t blame them, but life is not what it used to be in that respect. Hope to dig into and enjoy Motown Junkies. It’s super and hard to believe that someone like you has taken ‘my music’ way beyond what I can imagine. How you’ve developed the love to take this to a much higher plane in time and energy, is quite amazing. But I’ve always felt that there’s always someone in this world that takes what might be an interest or hobby to me, to another Universe. Looks as though you’ve done that. Ps. I’m sure you’ve run across a former DJ, John Perrine, who goes under the Internet (record labels) name of mosogotam, and has done brilliant remixes of Motown and affiliated classics from our era. I just did so this year and have corresponded briefly with him. It’s good stuff. We are like peas from the same pod. I grew up in Manitoba, surrounded by C&W radio stations, but liking music by Black Americans. I started listening to R&B, Blues, Gospel and Jazz in the early ’50s, and liked Motown (Tamla) from its start. I moved to Chicago near the beginning of the ’60s, and used to also check out the thrift stores and record shop bargain bins in Milwaukee. Cuca was a good record label out your way, which had some rare R&B and Soul releases, despite being mostly a pop and C&W label for using local artists. They had Wisconsin local favourites, Harvey Scales and The 7 Sounds. Did you ever see them appear live? I ran into John Perrine many years ago. Welcome to our site. You’ll get a lot of enjoyment reading all the commentary. I couldn’t agree less. This is an absolutely fantastic record, the way Kim builds the vocal to an incredible climax is just brilliant. I think the backing is beautifully done, I simply can’t see the limitations that you do, It has to be said that I am not on my own, this has been an enormously popular record on the Northern Soul scene in the UK for over 30 years. It fills the dancefloors in the UK every weekend! This isn’t really a great song, but it is a fanastic record. Once again it’s the scintilating arrangement and Kim’s dynamic vocal that make this so marvelous. It’s surprising how Motown hardly ever credited arrangers on record labels until the end of the 60s, yet the right arrangement can make make an average song into something wonderful as it does here. I certainly get ‘A Thrill A Moment’ every time I hear it even after nearly half a century. I agree! Was in love with soul beginning as a preteen. This flip side recording was one I played over and over. It was always mesmerizing to me, the simple intro, the buildup of both the background, and most of all her amazing voice. It almost feels like getting on a ride. For some obscure reason the recording came to mind as I was going to sleep last night, looked it up on the Internet and listened for the first time in many years (I am 67). It still had the same effect, and it’s wonderful to see it does that for others. I hope Ms. Weston is aware of that! I’ve noticed there has been no mention of the other vocal version by Kim of a song with different lyrics, titled “Do Like I Do”, used, together with the same backing track as “A Thrill A Moment”, recorded around the same time in 1965, and held in the can. unreleased until released in The UK on Tamla-Motown, during the 1970s. I hope you are well. Interesting about those 2 songs. Another Motown example of same song different title is “This Poor Heart of Mine” by Marvin & Tammi on the EASY album. It is essently the same song (which slightly altered lyrics) as “Only Your Love Can Save Me” by the Marvelettes on the SOPHISTICATED SOUL album. I believe both songs were recorded separately. Apparently several Motown songs got re-tooled with only one version being officially released. On CELLARFULL OF MOTOWN, there is “Ain’t it the Truth” by J J Barnes which morphed into “Show Me The Way” by the Vandellas. Do you know of any other examples? There were several. One, example, off the top of my head, are “In The Neighborhood” and “On The Avenue” both by Jimmy Ruffin. The words of the two songs were different, despite telling the same story. Landini, I’m sure you know this one: Marvin Gaye – Pretty Little Baby and Purple Snowflakes. As far as the Kim Weston track, I really like it and think it’s one of her better tracks from this period. One of the rare instances where I think our host seriously undervalues a good record. Interesting comment, but to me ‘Do like I do’ sounds more like ‘I’ll never see my love again’ than ‘A thrill a moment’. Talking of other backing tracks that became different songs how about ‘Smooth sailing from now on’ from the Tempt’s ‘Solid Rock’ album which was originally intended as the backing track for ‘Too busy thinking about my baby’ then shelved in favour of the backing track used on the ‘Gettin’ Ready’ album. It sounded completely out of context with the rest of the ‘Solid Rock’ album which contained mostly that progressive stuff which hasn’t stood the test of time like the classic Motown sound has. Sorry! I got tthe two songs mixed up. You are correct. “Do Like I Do” uses the same backing track as “I’ll Never See My Love Again” – the flip of “A Thrill A Moment”. Great finger poppin’ song. I taped this song in the late 60s on a small reel-to-reel from the radio, I liked it so much. I lost the recorder and I did’t hear it again until it showed up on a classics release in the 90s. I would hear this song in my head from time to time for years. In Baltimore, DC, and Philly, this song is a classic “hand dance” song. Kim’s vocals are powerful, building from the beginning to a rip-roaring climax. I can hear Tammi Terrell taking a crack at this one. This song led me to conclude that Kim may have been Motown’s best, underrated female vocalist. 8/10! Fascinating comment about the production sounding modern (relative to 1965) but not necessarily in a good way. But the song itself seems temporally displaced in the other direction. It has a bit of an early 60s easy listening feel – I can sort of imagine it in the soundtrack of an early 60s romantic comedy movie. So I agree with your rating, give or take. But, ironically, while I don’t love the song, it has just the type of adventurous bridge that I’ve been begging for in the songs that I DO love. In other words, I like the craftsmanship of the way the material is woven together much more than the material itself. Re Thrill (Kim Weston) – I always found it perfect, and still do! Gives me chills any time I listen to it.